Dame Frances Amelia Yates DBE FBA was an English historian who focused on the study of the Renaissance. In an academic capacity, she taught at the Warburg Institute of the University of London for many years, and also wrote a number of seminal books on the subject of esoteric history. Yates was born to a middle-class family in Portsmouth, and was largely self-educated, before attaining a BA and MA in French at the University College, London. She began to publish her research in scholarly journals and academic books, focusing on 16th century theatre and the life of John Florio. In 1941, she was employed by the Warburg Institute, and began to work on what she termed "Warburgian history", emphasising a pan-European and inter-disciplinary approach to historiography. 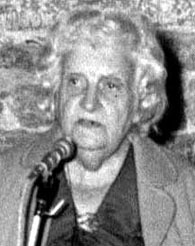 In 1964 she published Giordano Bruno and the Hermetic Tradition, an examination of Bruno, which came to be seen as her most significant publication. In this book, she emphasised the role of Hermeticism in Bruno's works, and the role that magic and mysticism played in Renaissance thinking. She wrote extensively on the occult or Neoplatonic philosophies of the Renaissance. A revolutionary book about mnemonic techniques, and their relation to culture as a whole, which is itself hard to forget. Â Â Â Â Â The ancient Greeks, to whom a trained memory was of vital importance -- as it was to everyone before the invention of printing -- created an elaborate memory system, based on a technique of impressing 'places' and 'images' on the mind. Inherited and recorded by the Romans, this art of memory passed into the European tradition, to be revived, in occult form, at the Renaissance, and particularly by the strange and remarkable genius, Giordano Bruno. 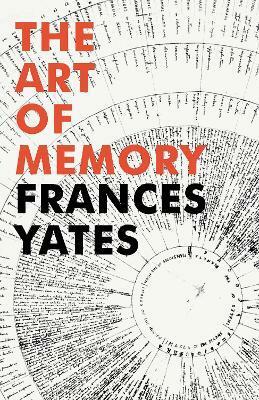 Â Â Â Â Â Such is the main theme of Frances Yates's unique and brilliant book, in the course of which she sheds light on such diverse subjects as Dante's Divine Comedy, the form of the Shakespearian theatre and the history of ancient architecture. Aside from its intrinsic fascination, The Art of Memory is an invaluable contribution to aesthetics and psychology, and to the history of philosophy, of science and of literature.